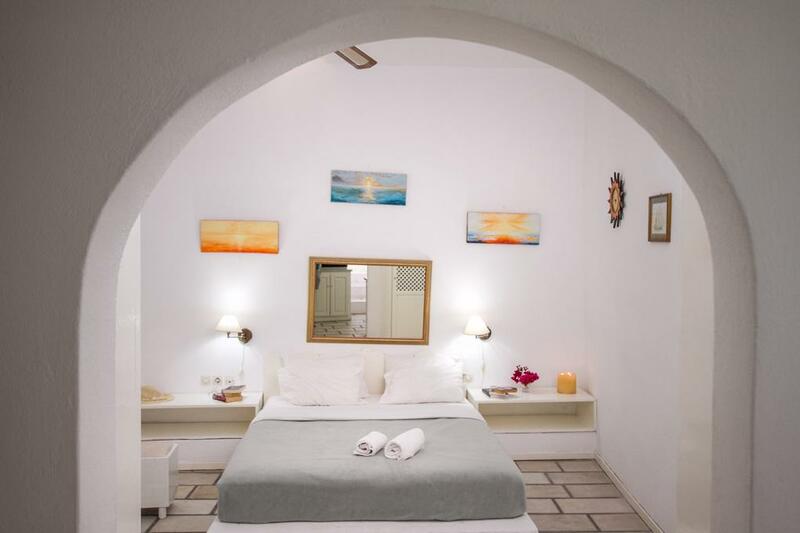 Newly renovated suite build one 2 levels, with 2 bedrooms,a king size bed on the spacious cave house style main bedroom , and a loft bedroom open plan with the living room that has a double bed and a single bed. 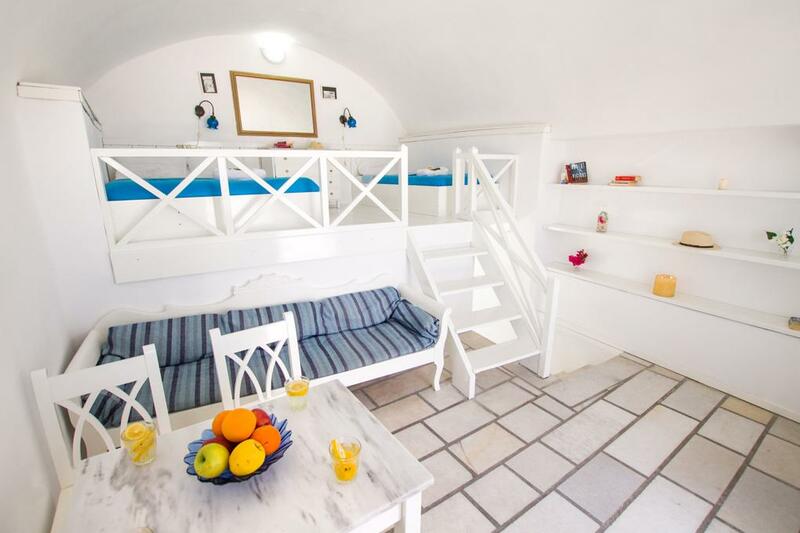 Can host up to 5 persons. 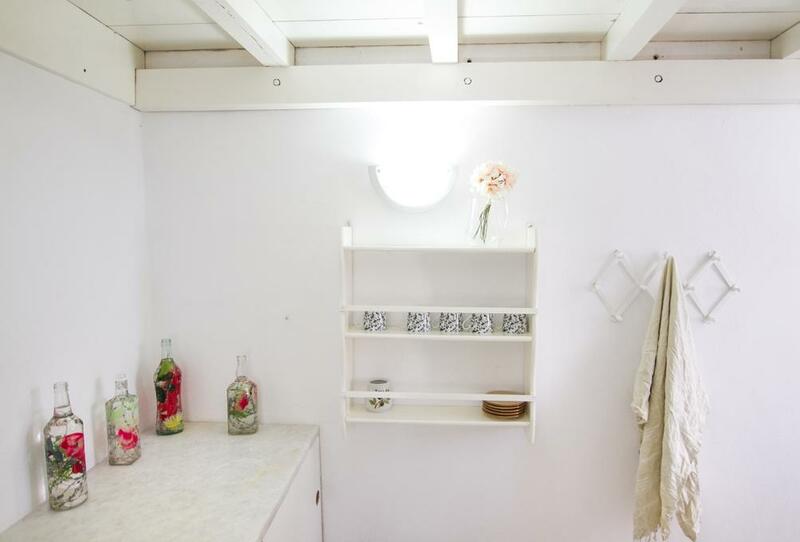 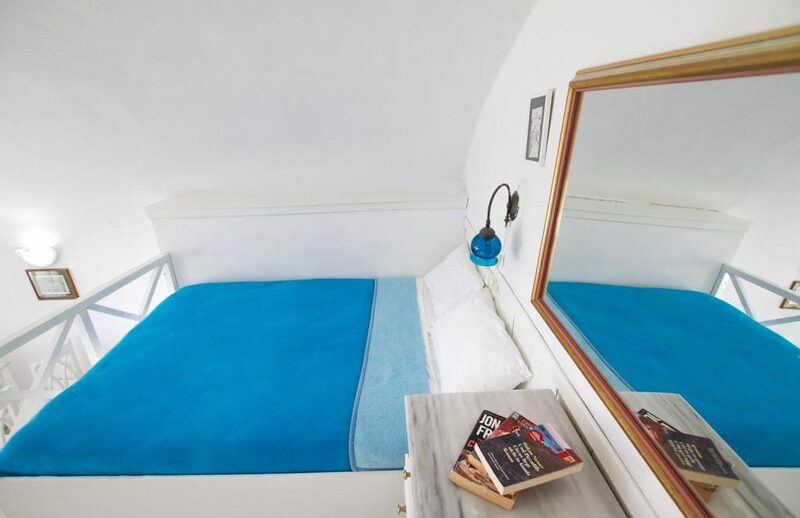 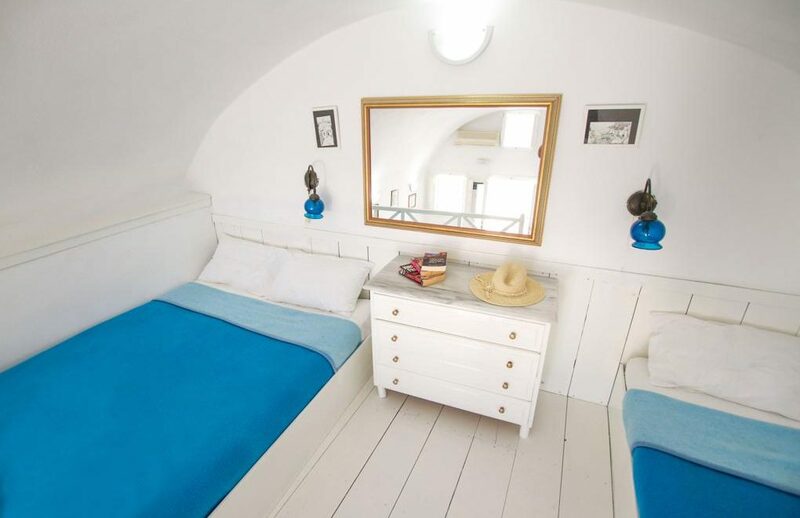 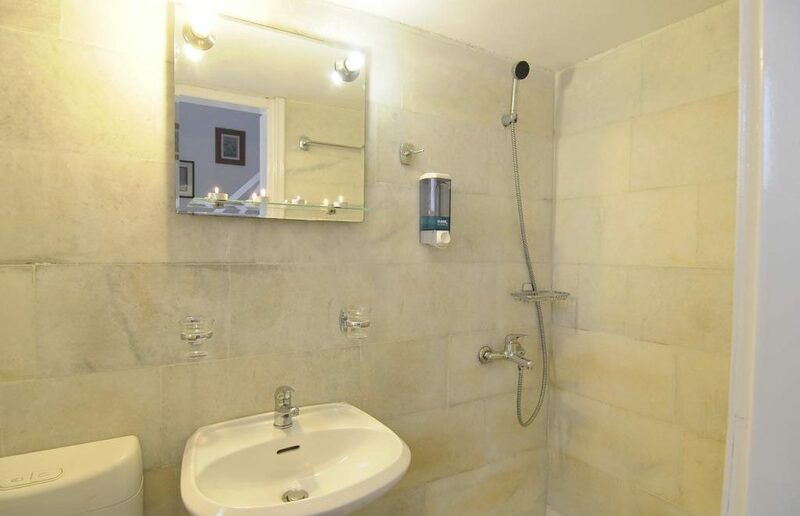 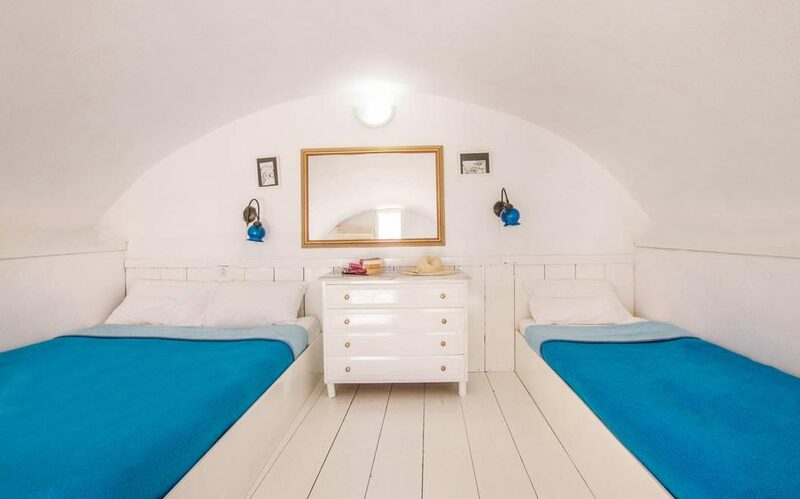 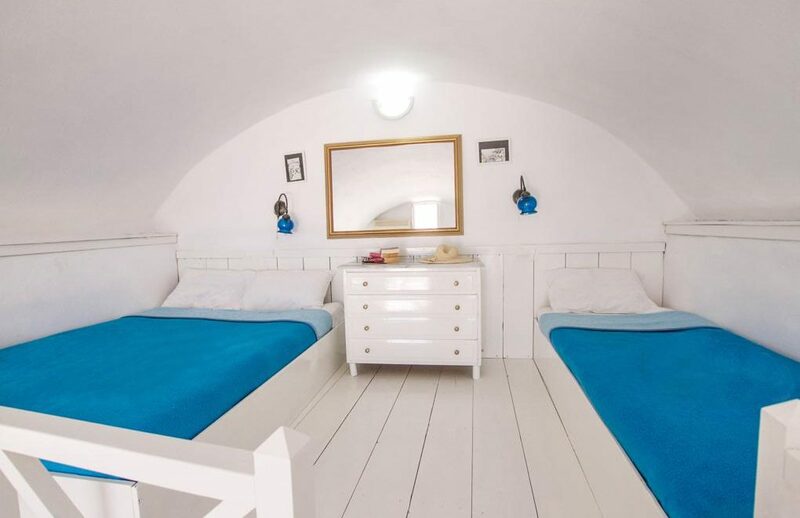 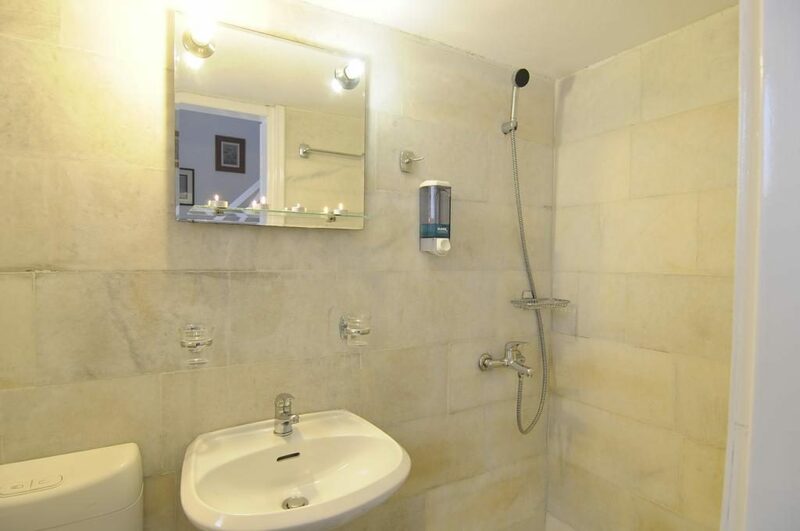 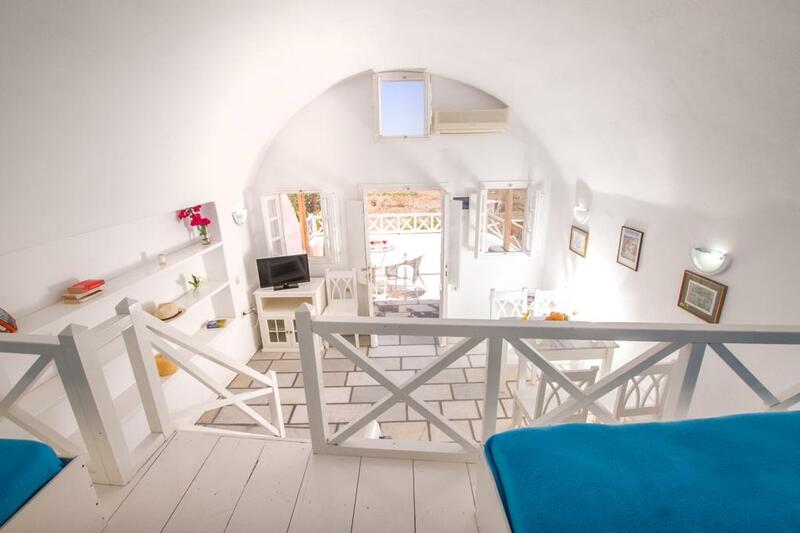 Comes with a bathroom with shower, a fully equipped kitchenette and a small private terrace. 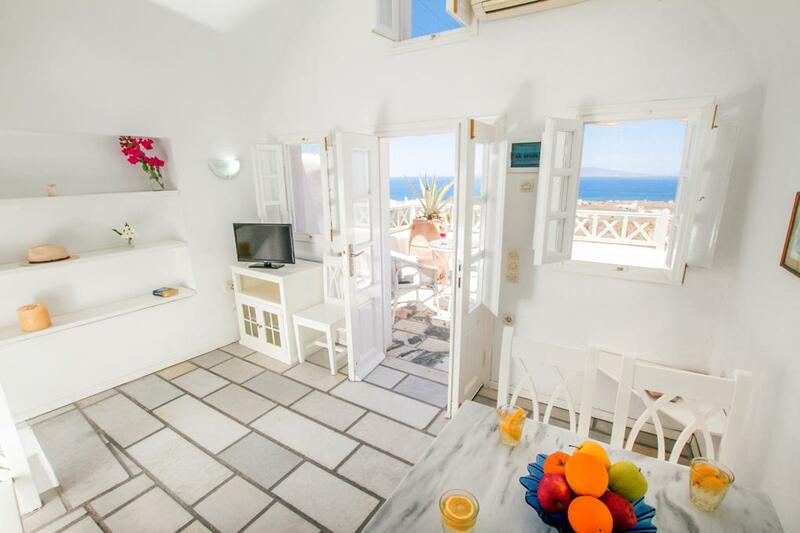 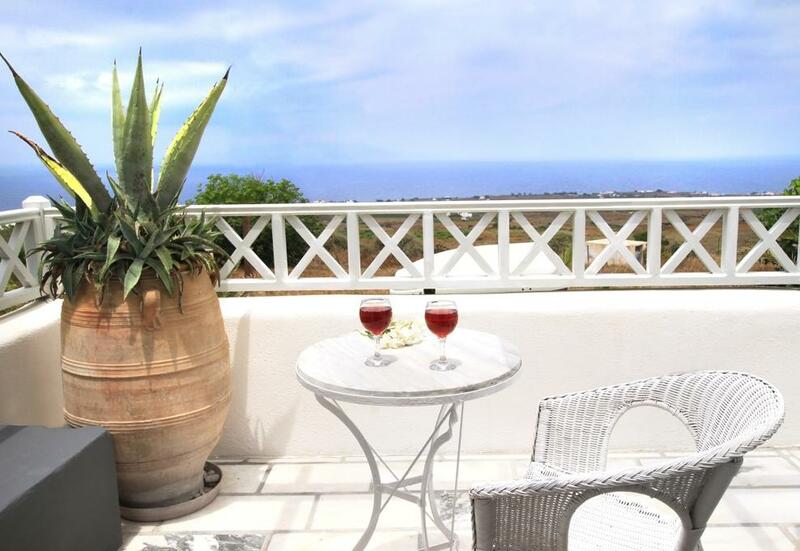 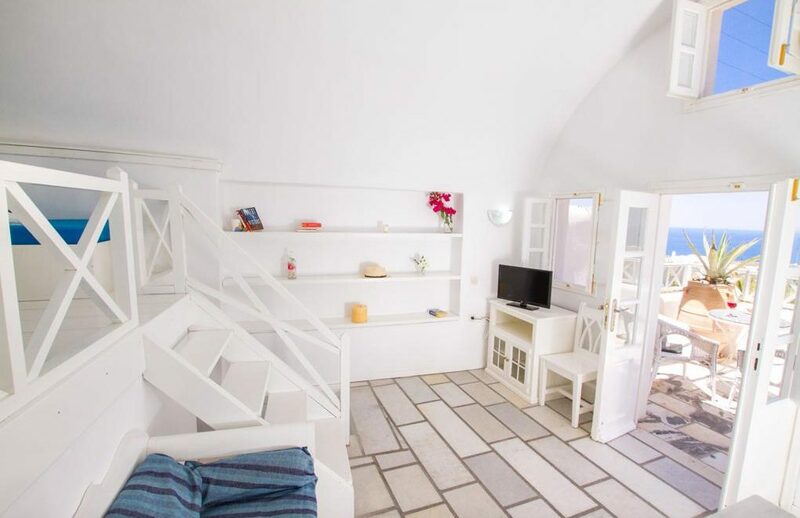 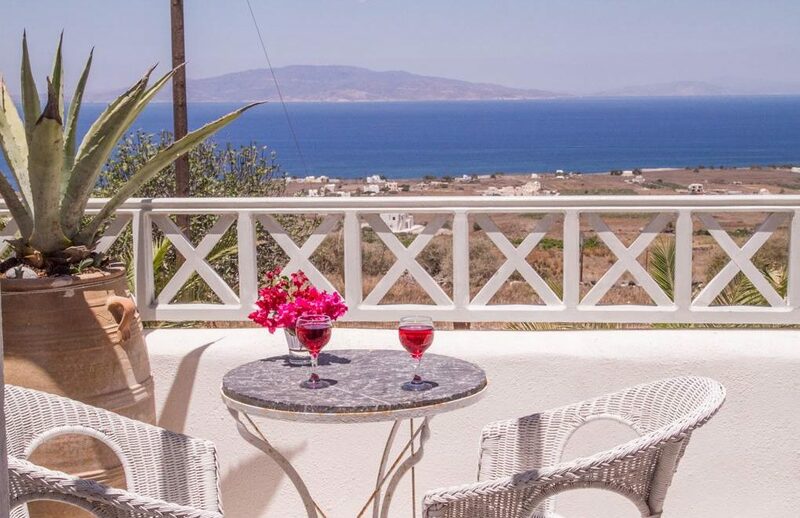 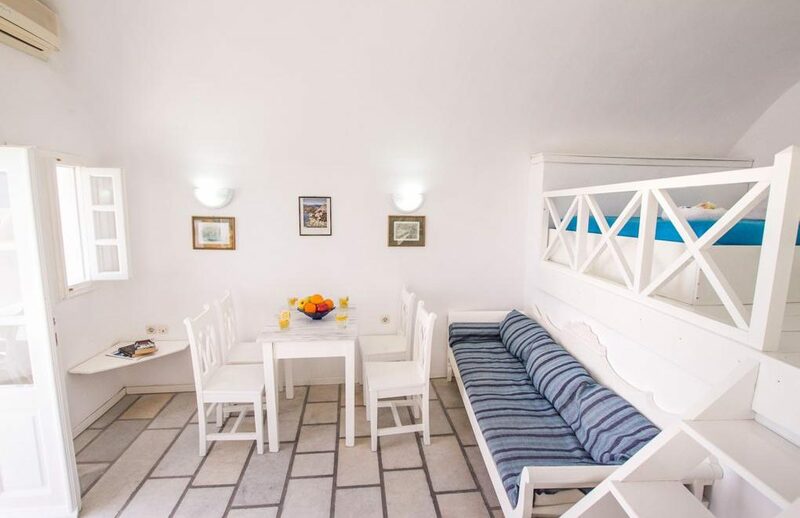 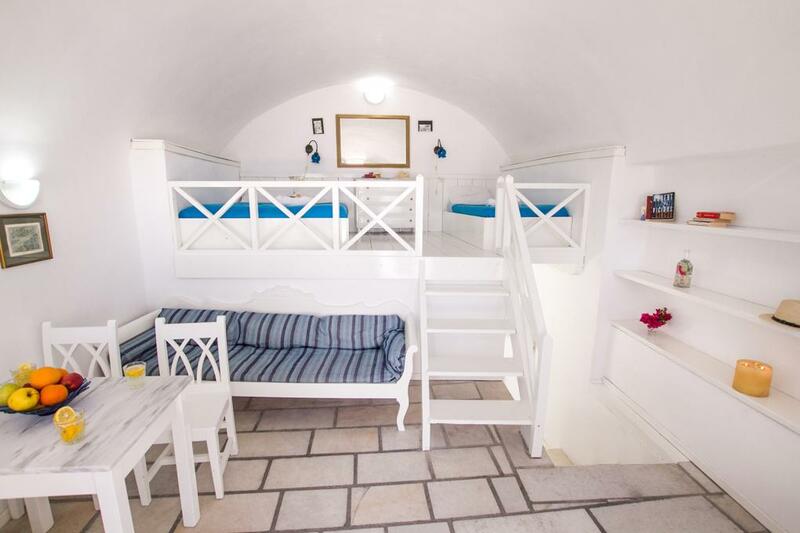 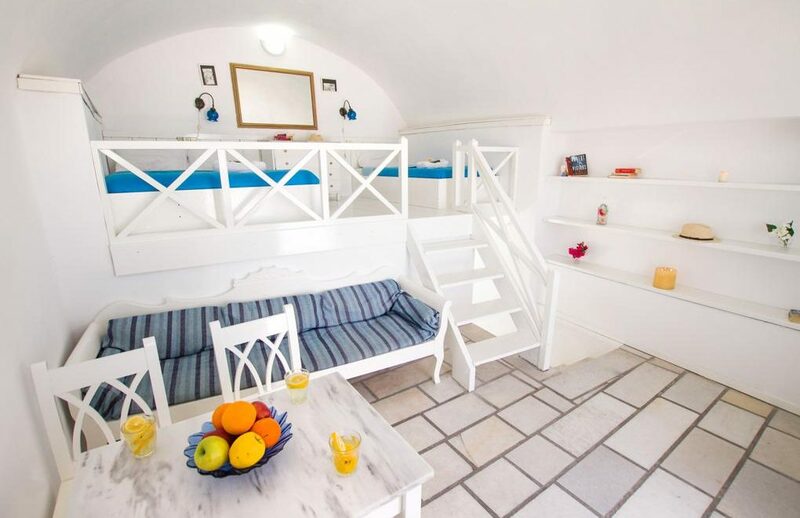 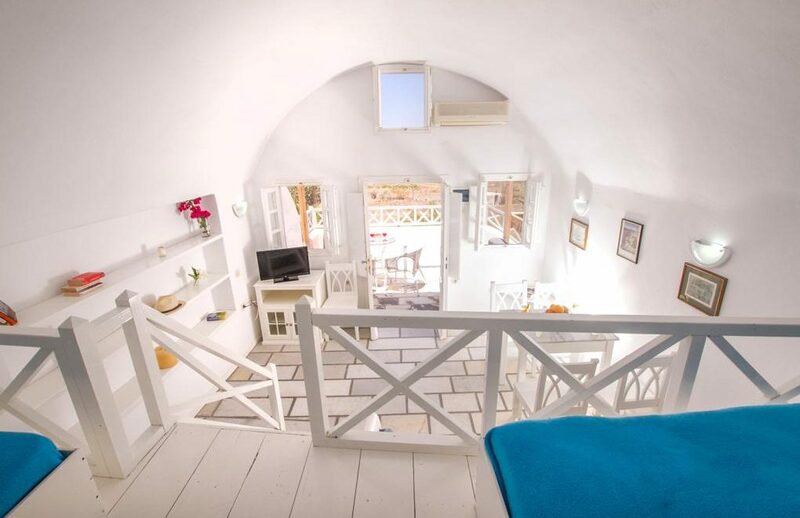 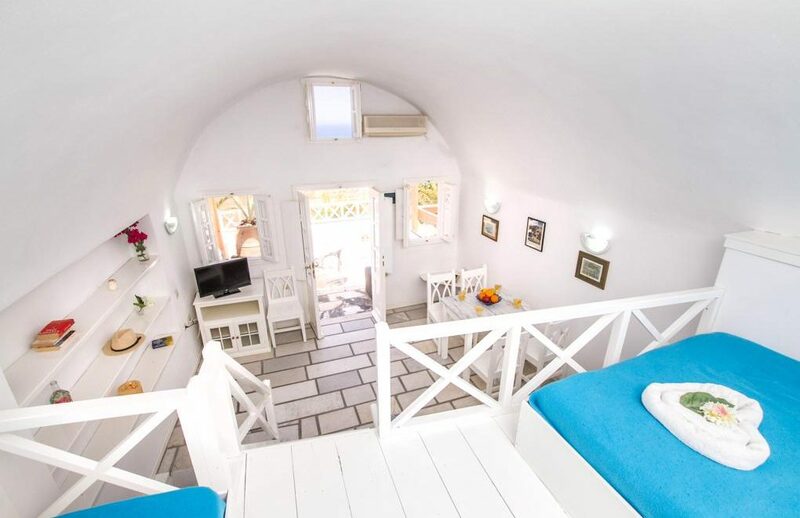 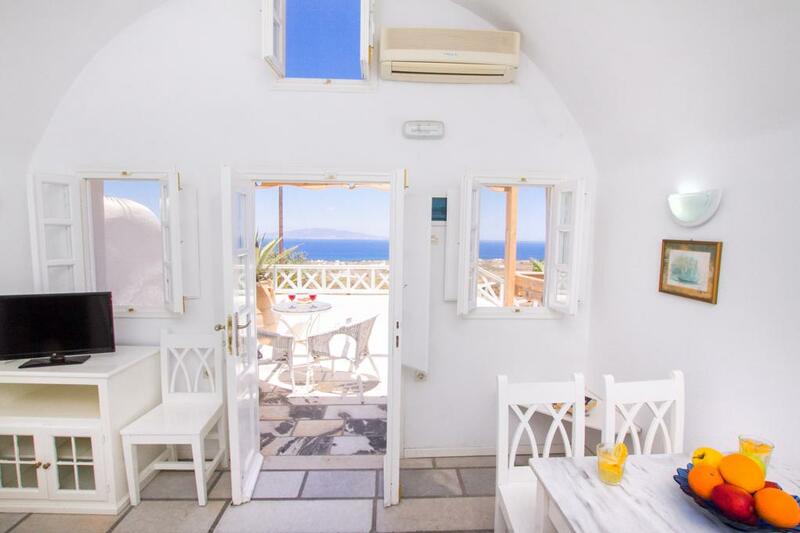 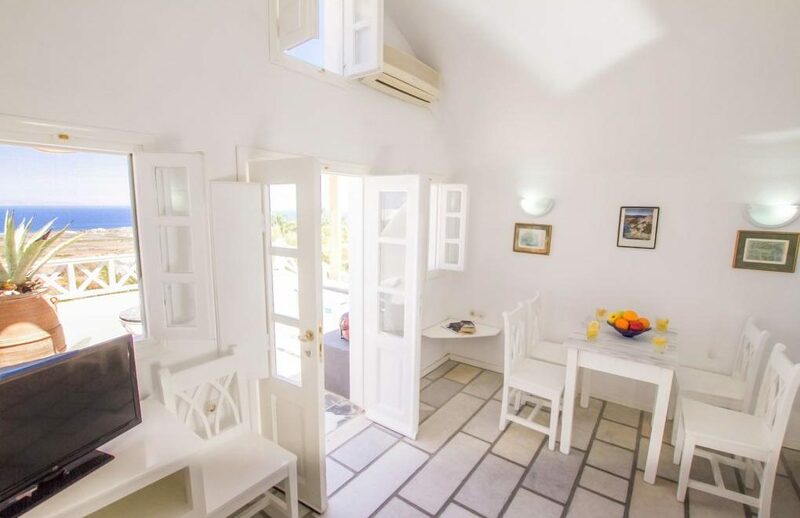 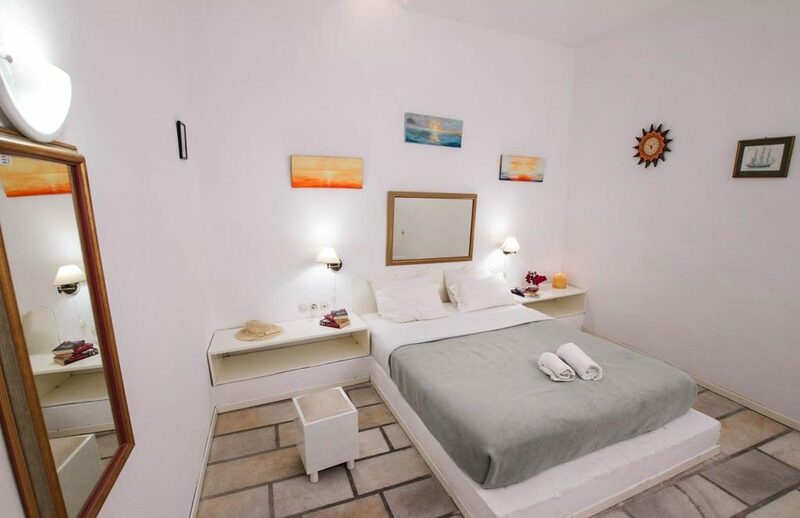 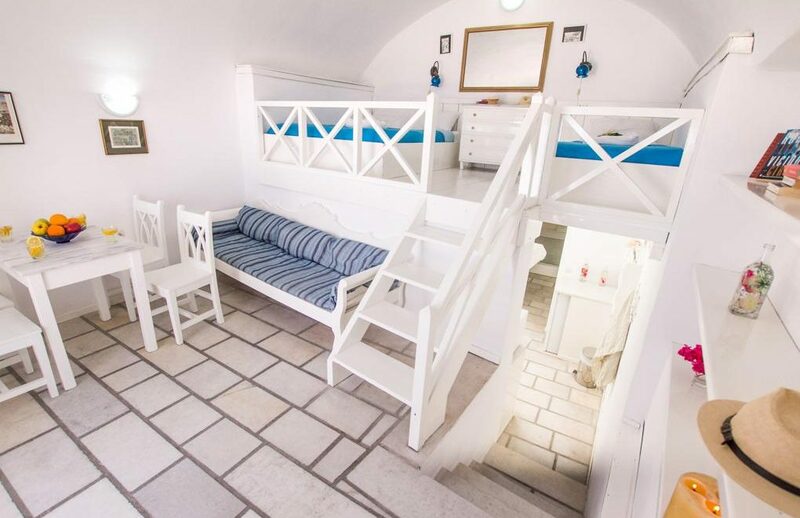 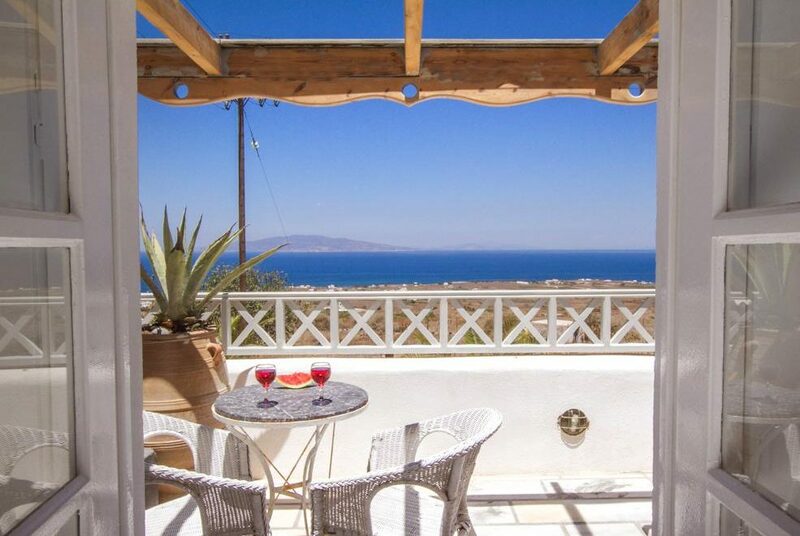 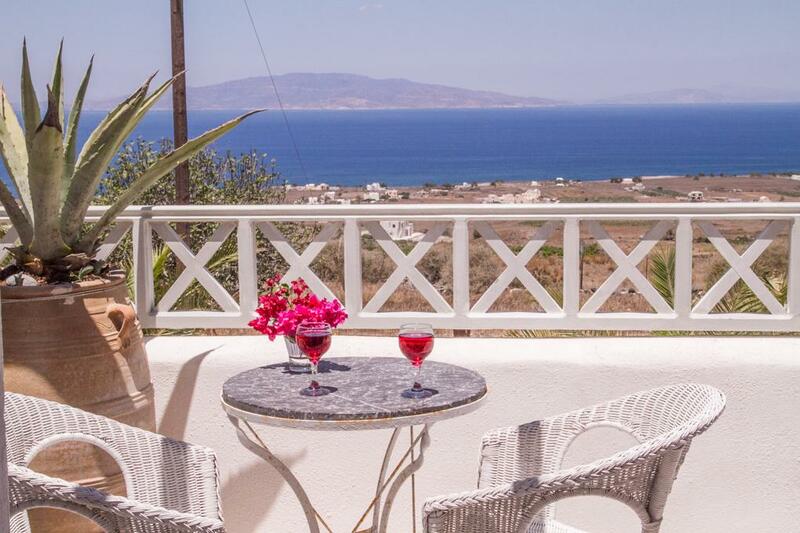 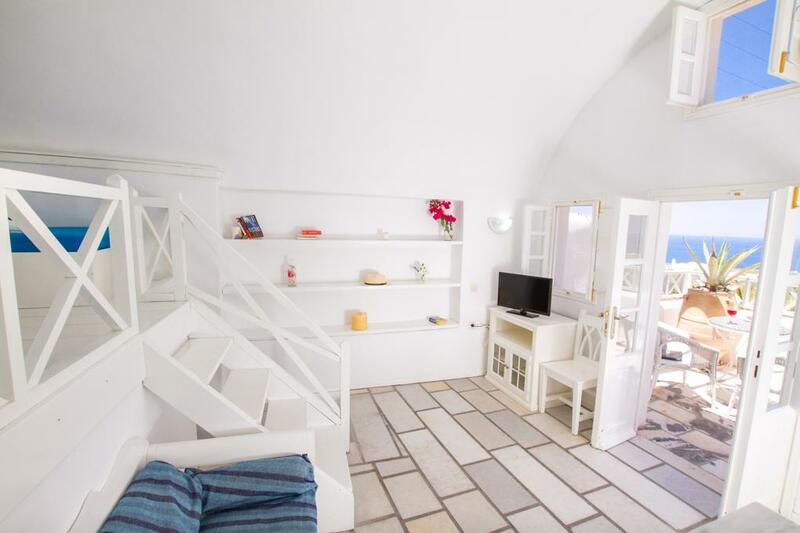 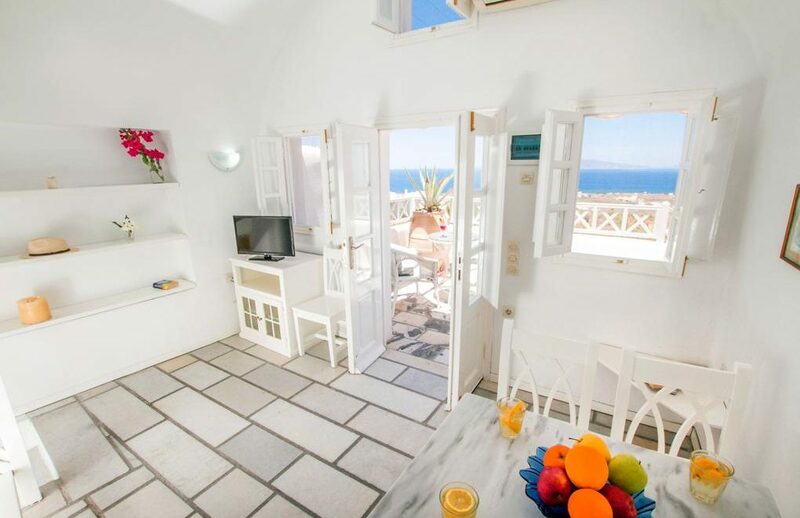 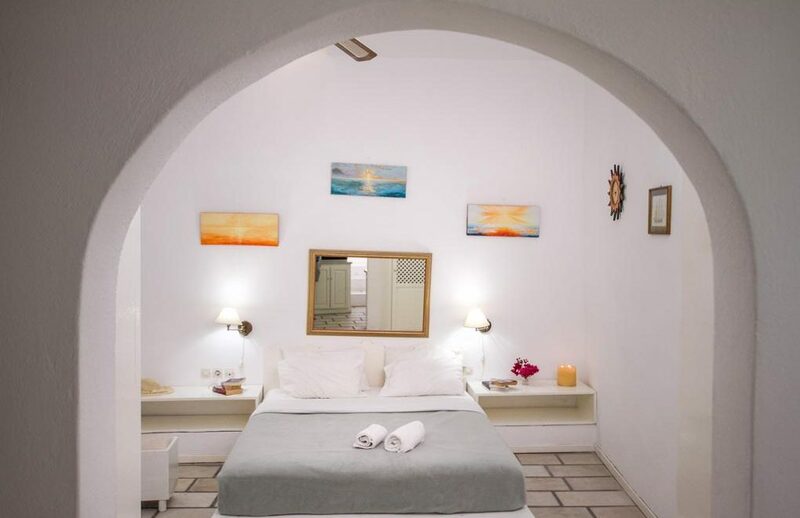 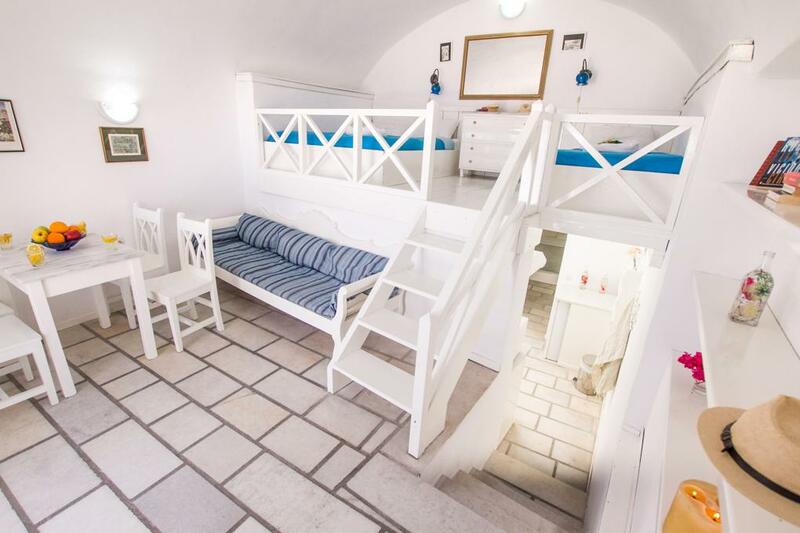 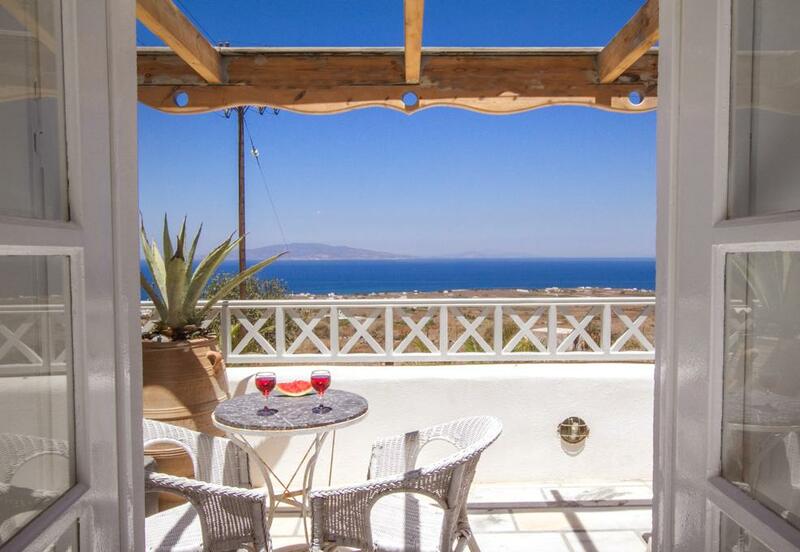 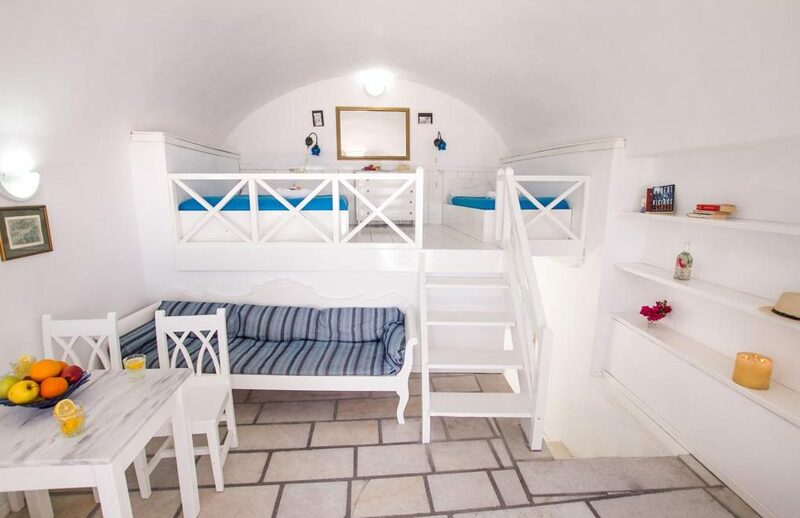 Casa Francesca – Musses is centrally located off the main road, easy access to Oia bus terminal and sunset point, less than one minute walk from the Caldera view main walking alley where all the shops, restaurants, coffee shops, local churches are and a bus stop at 30m distance.